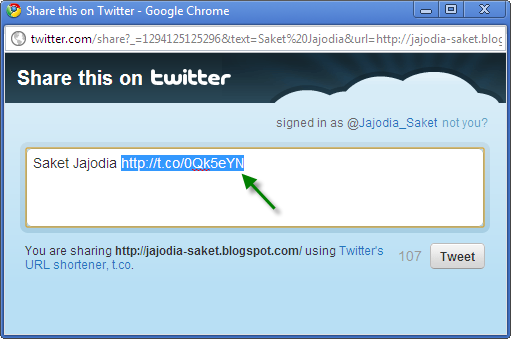 to shorten your big URL. As Twitter shorten URL service t.co is not for general shortening service, it is used on all links included in Direct Message notification emails and for the tweets which are done using Tweet button. But today I will tell you a trick by which you can use t.co as a shorten URL.